When we talk about a “cursed movie” we refer to a film whose actors have ended up badly before, during or after the shooting. This is the case of the Superman movie, all seemingly cursed enough to lead some to speculate on a possible “Superman” curse. Kirk Alyn played in two low-budget serieson the superhero in the 40s, but then struggled to find other roles to play just because the public now associated him to Superman. His later works were only appearances in advertising and small unrecognizedroles. He later developed Alzheimerdisease. Bud Collyer voiced the cartoon superhero from 1941 to 1943. He later had a career in television and returned to dub Superman in 1966. Three years later he died, at the age of 61 years for a circulation problem. 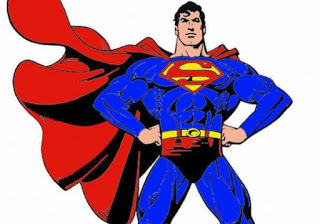 Lee Quigley played the role of Superman as a baby and died at the age of 14 due to drug abuse. George Reeves played in Superman movie in 1951 and the subsequent TV series dedicated to him. Even him could not find other roles,as he was typecasted.In June 1959 he was found dead a few days before his wedding with a gunfire wound. The death was ruled a suicide but there are also other theories. 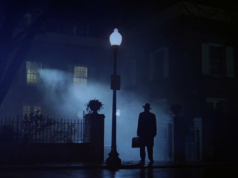 His death started the theory of the “curse”. Christopher Reeve played the role of the superhero from 1978 to 1987 in various films. He, too, was type casted and he is perhaps the most recognized actor for the role.Reeve had a riding accident in 1995 that left him paralyzed. He died in 2004 due to complications resulting from his condition. Marlon Brando played the role of Jor-El in the 1978 film, and is included as a victim of the curse because his son shot the boyfriend of Brando’s other daughter, his half-sister.Following this event Brando began falling onto a depression spiral that culminated when, five years later, his daughter committed suicide. Richard Pryor played the part of August Gorman in Superman III. He had a drug problem that almost led him to suicide. Three years after the film he was diagnosed with multiple sclerosis and died of cardiac arrest in 2005. Dana Reeve was the widow of Christopher Reeve, who died in 2006 of lung cancer, at the age of 44. 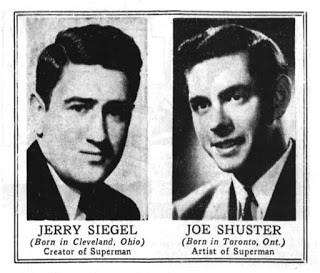 Jerry and Joe are the artists who created the character of Superman. They sold the rights to the character to DC Comics for a pittance and, despite various efforts, failed to get a share of the DC gains. In the 50sJoe’s vision problems got worse to the point that he could no longer draw and then became a courier to make ends meet. Jerry Robinson, artist of DC Comics and co-creator of the character of the Joker, says that one day Shuster delivered a package to DC, makingall its employees feeling very embarrassed. He was then given $ 100, he was told to buy a new jacket and find another job. During the making of Superman ReturnsDVD,3 people were involved in accidents. One fell from a flight of stairs, another was attacked during an attempted robbery and savagely beaten, and the third crashed into a window. Kate Bosworth played Lois Lane in Superman Returns and, despite not being injured, her relationship with Orlando Bloom ended in 2006 and the actress blamed the curse for this. If you too are a fan of Superman, you can’t miss this! “Superman 5 Film Collection 1978-2006”. Previous articleThe excruciating torture of impalement.